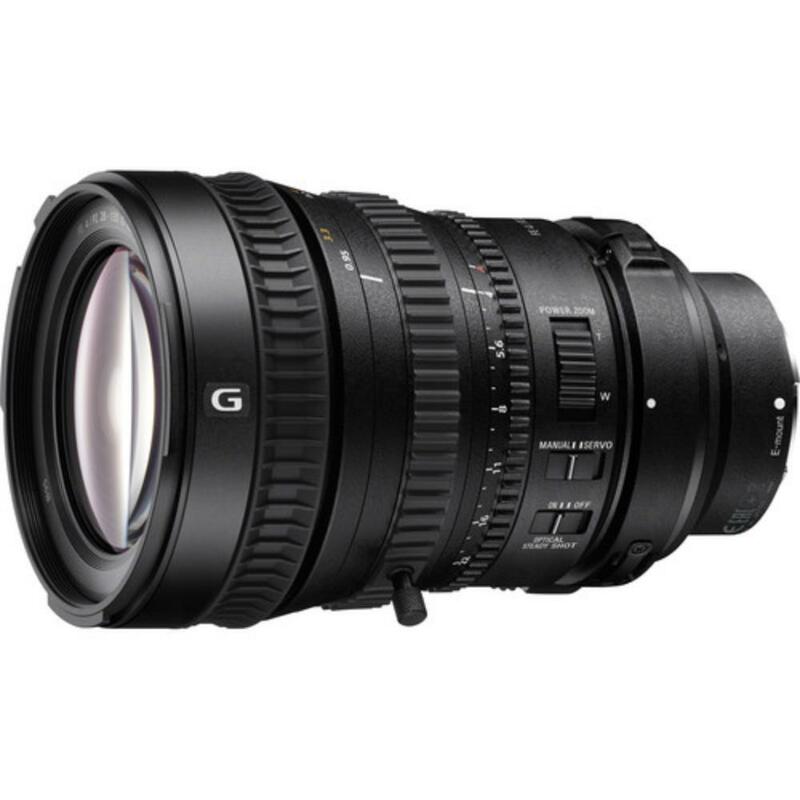 The Sony FE PZ 28-135mm f/4 G OSS Lens sports precision optical design for HD and 4K moviemaking and minimized angle of view variation (breathing) while focusing. Independent control rings for zoom, focus, and iris (aperture) are provided for and the focus mode can be switched from auto to manual by sliding the focus ring forward so control is maintained at all times. All three control rings have been engineered to provide the right amount of torque for comfortable, responsive operation and the pitch of the scalloping on the rings has been designed for comfortable, slip-free control. The zoom function features an SSM (Super Sonic wave Motor) drive for fast, silent performance. 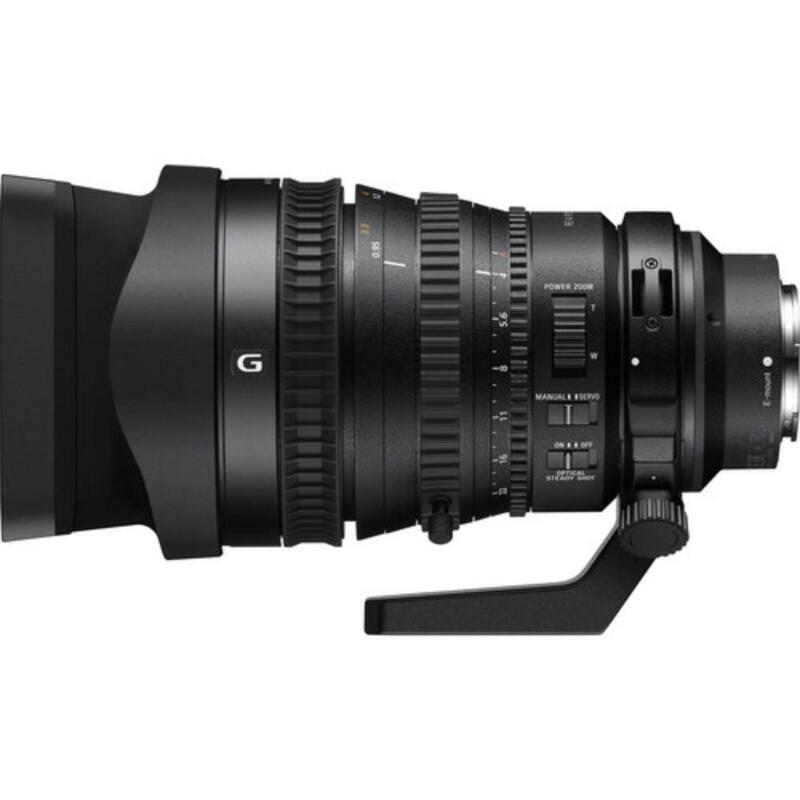 The Sony FE PZ 28-135mm f/4 G OSS is compatible with Sony E mount cameras in both full frame, such as the Sony a7S II and crop frame sensors, such as the Sony a6500. The focal length equivalent on crop frame sensors is 42-202.5mm. It is also compatible with the Sony FS700 and the Sony FS7. This lens is ideal for documentary work, narrative filmmaking, and event shooting. • Aperture can be set by the camera when you align “A” on the aperture scale to the aperture index on this lens.